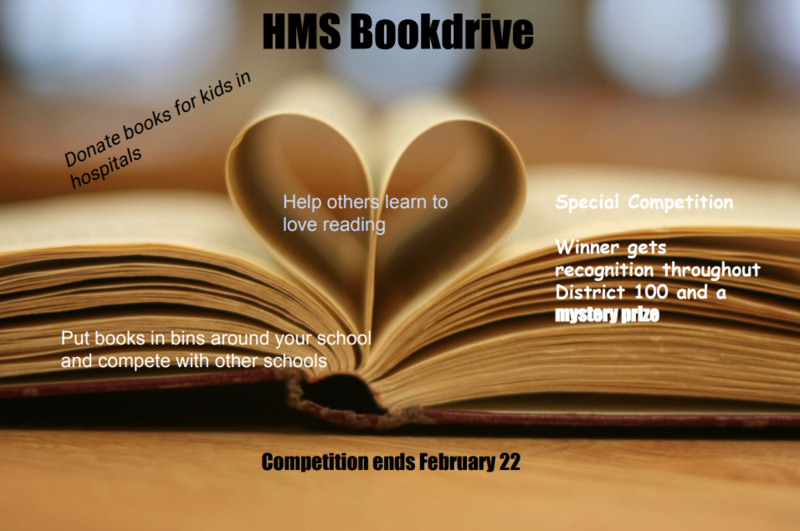 HMS OAV collecting books for children's hospitals. 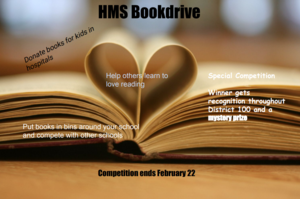 The Heritage OAV club is holding a book drive! We are collecting books to donate to children’s hospitals and children’s units in our area, to hopefully inspire a love for reading lasting a lifetime. We also hope to help them get through tough times without being bored and without too much screen time. If you have any extra books at home that you would like to donate, please place them in the bins in the school’s front office. The school who donates the most books will earn a special prize and a special recognition award. Thank you for helping us with our project!